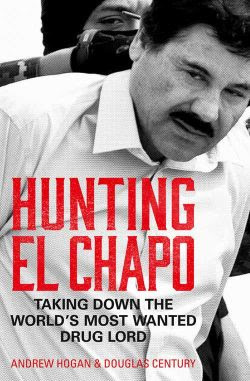 Lia Eustachewich at the New York Post offers a piece on the former DEA special agent who helped nab Mexican drug lord Joaquin Guzman, known as El Chapo. A former Drug Enforcement Administration agent recalled the dramatic moment he came face to face with El Chapo when he was captured in 2014. “I ran right up to him, jumped into his face and said the first thing that came into my head and it was — I screamed, ‘What’s up, Chapo?! '” Drew Hogan said Wednesday on the “Today” show. Hogan was part of a team of American and Mexican authorities tracking the movements of the drug lord, whose real name is Joaquín Guzmán. By pinging the secretary’s phone, Hogan was able to pinpoint exactly where Guzmán was. The leader of the dangerous Sinaloa drug cartel was nabbed by Hogan and his crew at a hotel in Mazatlan in February 2014 after spending 13 years on the lam.